Another Covenant service this time at St John’s College here in Durham with the Rev Martyn Atkins preaching. The phrase that triggered the image was about being refueled or refilled. Another phrase came from the lines of a hymn – ‘kindle a flame of sacred love on the mean altar of my heart’. 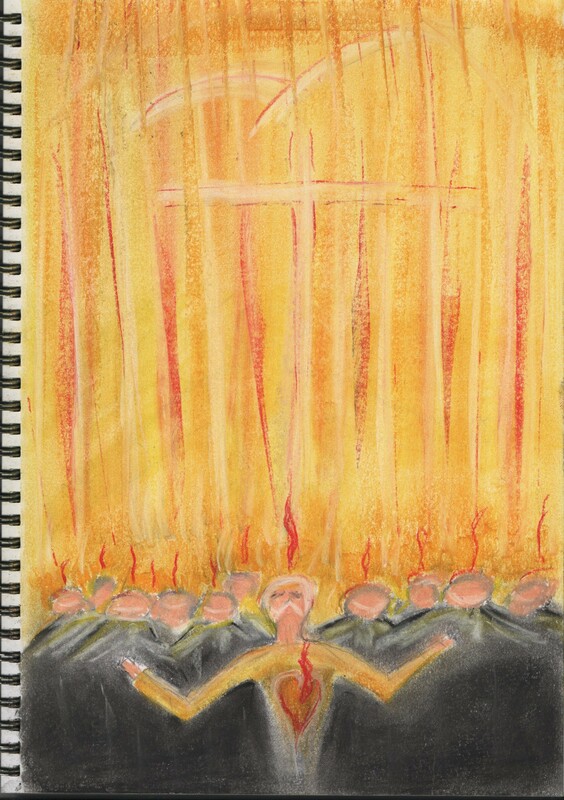 The sense of community in the communion and standing together in the presence of God, faces upturned, hearts open to the holy rain, the holy fire.